Charitable organisations approach us on a daily basis by offering solutions to the global challenges of our time, but at the same time (social) media constantly confronts us with new stories about injustice, disasters, and conflicts. We lose faith in the apparent solutions and get stuck in psychic numbing. What’s more, several charitable organisations themselves contribute to this bombardment of negativity, since confronting potential donors with problems appeals to their guilt, which seems to be the best way to attract donations. While this strategy attracts funds in the short run, it excavates support for charity in the long run since people don’t see how their donation contributes to a better world. As a result, donation levels drop. Kinder aims to turn around this decreasing trend in donations by revolutionising the donation ecosystem. With the development of the Kinder Donation App, Kinder creates a one-stop shop for simple, effective, and rewarding donations. Donors can easily create a Kinder wallet which will handle donations that only take a few seconds, be it on the Kinder Donation App or through the Kinder Donation Widgets. If the donor does not want to create a wallet, the transaction can be completed through a universal payment provider. Because it is impossible for the average donor to find out which organisations are effectively tackling certain problems, Kinder takes care of this through the Kinder Vetting Framework, which assesses charitable organisations on their performance. Higher performance scores lead to more promotion in the Kinder Donation App. 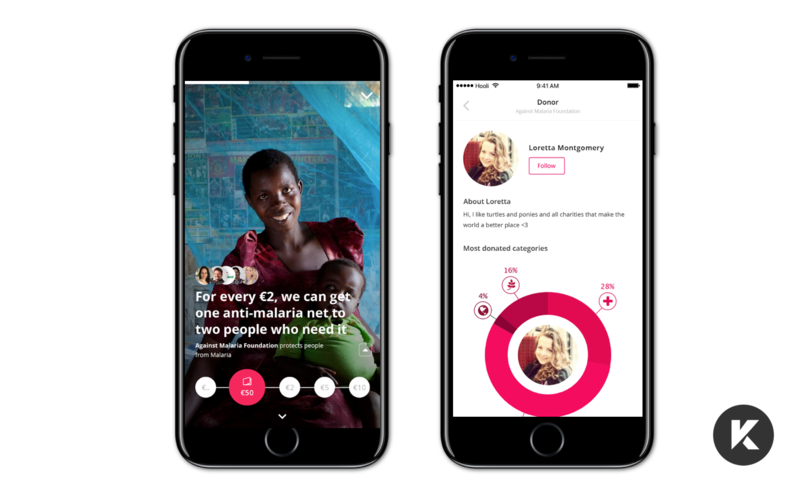 The Kinder Donation App empowers donors to take matters in their own hands by providing clarity about the effectiveness of charities and easy monitoring of donations. As a donor, you are the one to decide if, when, to whom, and how much you donate, while remaining anonymous to the charitable organisation so you are protected from follow-up acquisition. The Kinder Donation App shows you what happens with your donation, allows you to share your donation history with friends, and links you to the relevant topics about the world of doing good featured on Kinder World. You don’t need to hide from news about the world’s problems anymore since you become part of the solution with the Kinder Donation App. Sign up for our newsletter. Every week, our founder Mathys will send you the best stories about the world of doing good.